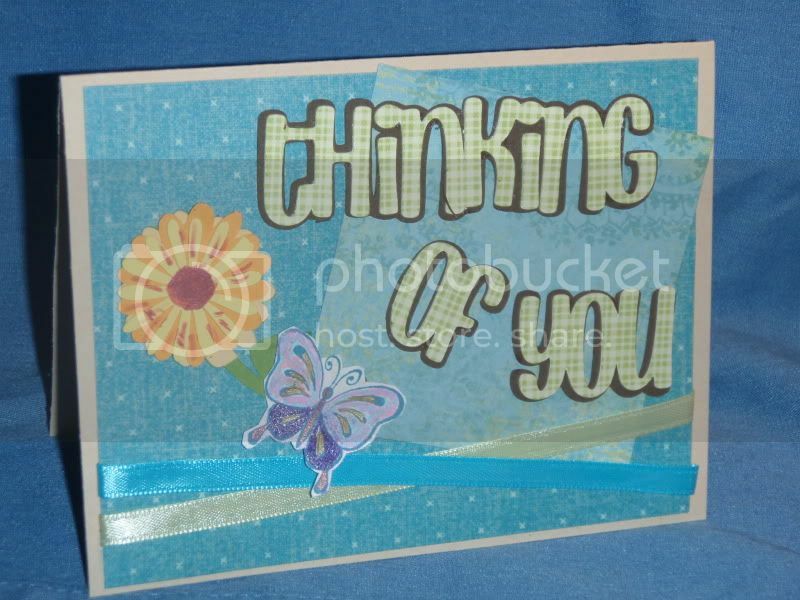 This card was made using the Don Juan cartridge for the greeting and flower. 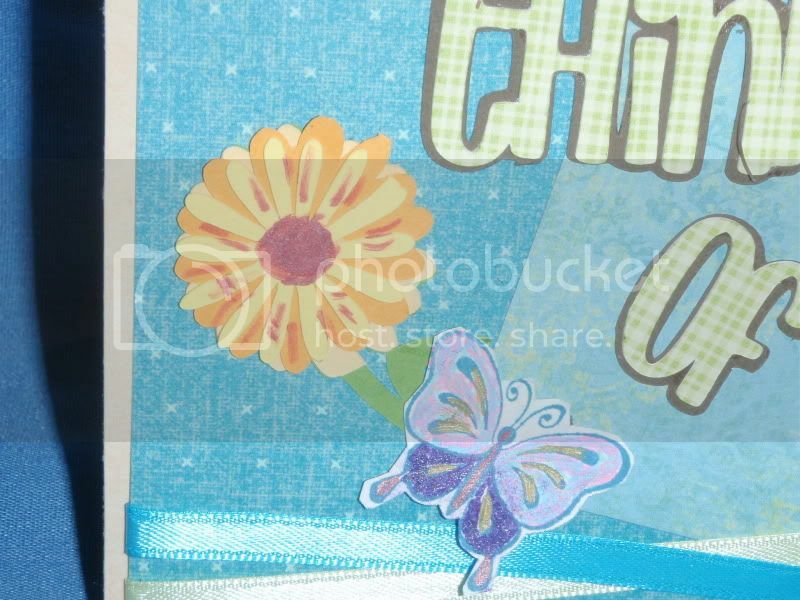 I stamped the butterfly, colored with gel pens, and popped it up slightly. The paper is from K&Co's Portabella Road and Que Sera collection.